So yesterday I basically spent all day figuring out how to dye these, and I think I figured it out. I tried a method dukeofdiecast talked about in one of my older posts. What he said you do is get a container, pour the dye in, then put the cast in, then introduce boiling water and leave it alone for about 45 minutes. I did that, and here we are. I think the results are much better. I first gave my orange P1 another go in tangerine using this method. Not alot changed, but the color seems to “pop” a bit more now. Then I did the same to my royal blue casting, which already had 1-2 goes before using my older method. Again, the color pops out much more now, looking like what’s on the box. This is what happened to with dark green after already trying to get said color from the old method. Somehow we got teal. Strange, but it looks good. 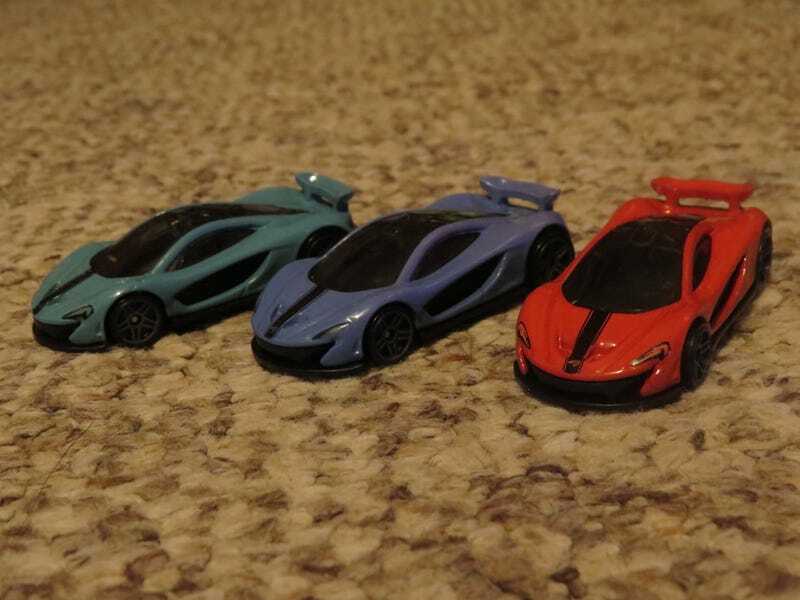 And bonus round; what was once my minty P1. Since this was least favorite, I basically turned this into a dummy casting an dyed it multiple times with every color I used that day. Not only did I just end up with a dark gray, I kinda damaged it as you can see from the roof pillar, and I think there’s a teeny bit of rust on the right side you can’t see now. So guess another thing I learned besides dukeofdiecast’s method being superior is that dying a casting many times ain’t a great idea.